The Bournemouth International Centre (BIC), is an award-winning premier conference, events and entertainment venue, situated at the town’s centre. 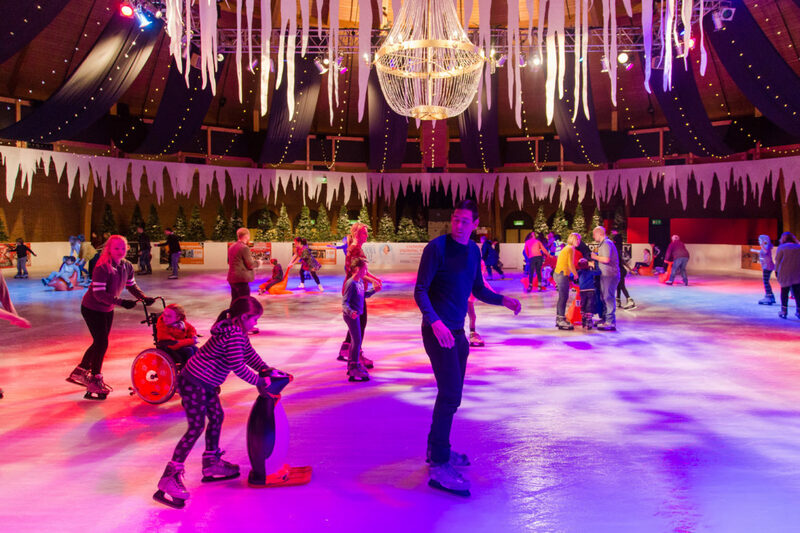 The BIC required an impressive real ice rink measuring 800 sqm in size – including a linked nursery rink. The rink had to be located inside the building on the second floor of the centre. With our experience, we can handle almost any request and are pleased to be repeatedly contracted to supply their festive installation. 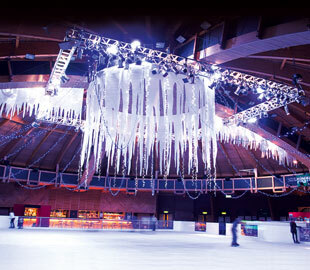 As in previous years, Icescape installed the large ‘Cool Coast Ice Rink’ in the Purbeck Hall at the BIC. The indoor temporary rink provided plenty of space for over 250 people to skate at any one time. Alongside this, we provided a nursery rink for little skaters to gain confidence on the ice before going onto the main the rink. We supplied 20 of our penguin skate aids and 600 pairs of skates. 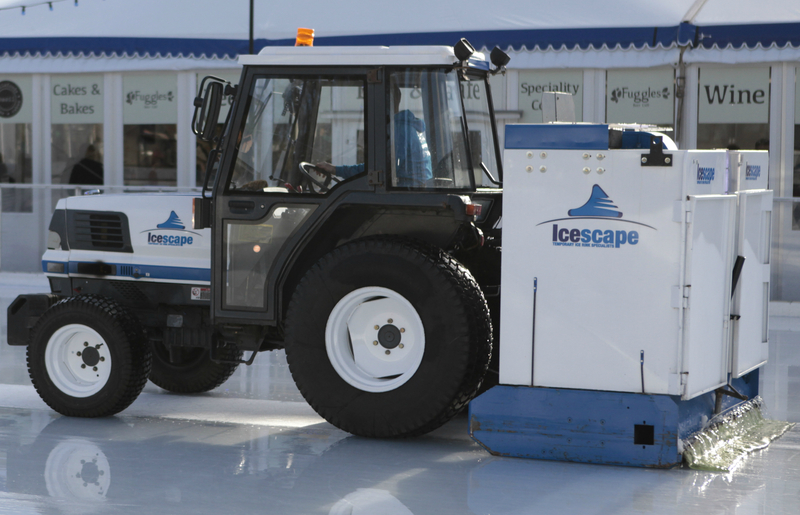 Due to the size of the rink, Icescape also provided an ice resurfacer in order to smooth the surface of the ice between skate sessions, ensuring that it remained in perfect condition for the next group of customers. If you are looking to hire a rink yourselves, the Ice resurfacer is optional, as trained staff can be hired to use manual snow scrapers for maintenance. However, it is recommended that motorised resurfacers are hired for larger rinks to increase efficiency on the rink and allow a consistent turnaround of customers. 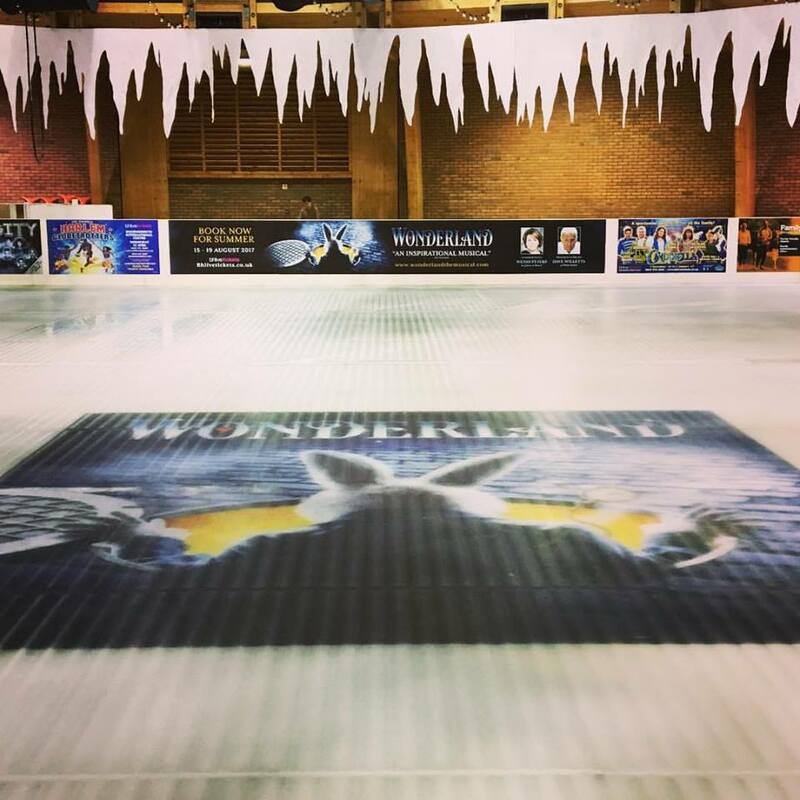 Looking to hire an ice rink, please do not hesitate to contact us.